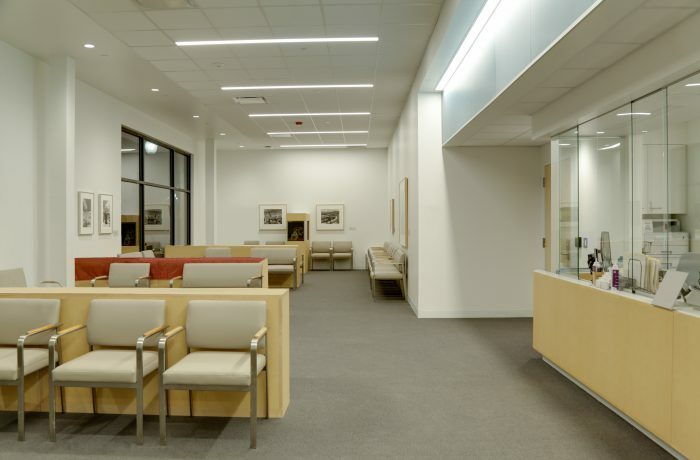 This project for The Cleveland Clinic Foundation was delivered under an Integrated Project Delivery (IPD) contract. It involved expansion and renovation to original facility Infinity constructed in 2008. 1-story steel fame with brick and EIFS exterior. Phase I is a 4,726-sf expansion that gut renovates two former tenant spaces to provide a new reception area and waiting room. Phase II is a 5,354-sf renovation of the original facility. 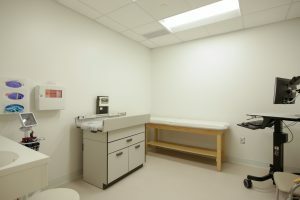 This renovation includes 15 new exam rooms, 10 new doctor’s and nurse’s offices, conference rooms and public rest rooms. Project delivered approximately three weeks ahead of the original schedule. We completed all demolition work during off-hours. The building remained occupied during construction which included replacement of the main entrance. Achieved 35% diverse contracting participation. Returned $17,000 in GMP savings.